Last week was one heck of a good week. It started off with a PR at RNR Arizona, quickly followed by an email telling me I had been accepted into a nationally known coached elite triathlon team (which I declined, more later), then I discovered my mug shot in TriLife magazine, and the topper.....I was accepted to Team Trakkers! Good things come to those who wait, and to be quite frank, I had given up on the possibility of representing this team in 2010 since I had sent in my application several months ago. I knew it would be a great fit, I really like the product (keep reading), I had met Carole (team manager) a few times and really clicked with her (very chill chica), it's a family-oriented team, and is a sponsor of some of my favorite pros. 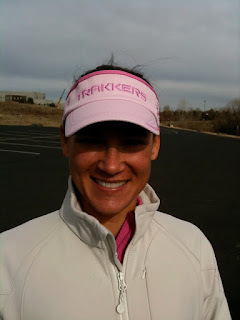 And, of course, PIC Sonja has been with Team Trakkers for a while and I have heard nothing but wonderful things about the team and product from her. But Thursday I received the call, and am now an official member of Team Trakkers! You probably remember, I helped Trakkers out with a beta test of their product at the Denver Half Marathon in October, read about that here. Trakkers is a GPS device that you can wear during a race that tracks where you are on course and delivers real-time stats to your friends and family watching you from home! I know that some of my friends have tried to watch me at some races (ahem.....Ironman) from afar and have been disappointed with the coverage of those events. Splits weren't coming in as expected and some even thought I had flatted, bonked, or dropped out of the race. For them, it wasn't a great experience. Trakkers will be a great improvement for those that have encountered these problems. As I mentioned, I wore the device during the half marathon and I didn't even notice it. I hooked it to the back of my shorts and forgot about it! Trakkers is also a sponsor of the Rev3 events this year. In fact, my first tri this year will be at a Rev3 event - in Knoxville, Tennessee! I was excited about this race before I was on the team, and now I am thrilled I will be wearing a Trakkers uniform at Rev3. 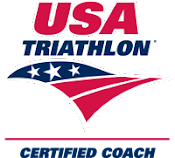 This is sure to be a fantastic event to start the tri season! I also am going to have the opportunity to try some of the best nutrition products on the market - First Endurance. I am placing my order today and will have a full report in the coming weeks. Saucony is also a sponsor of the team as is Tri Swim, Tri Slide, and Foggle. So much more to come on these products! That's my recap of a great week. Not much to talk about on the training front, a nice recovery week after the marathon and my last week of "freedom" before officially starting with my new coach - yip yip! Congratulations!! That is wonderful, though I'm not too suprised that you made the team! :) sounds like you've got a fun year ahead of you! Yea my crazy friend! Twinkies UNITE! hahah, that was me! Forgot to log Troy out. What a great week you had, here's to many more just like it! Unless Colleen or Sonja is your mom you actually now have *four* of us readers checking your blog out! Congrats again on the fame. Please don't let it go to your head and become one of those high maintenance athletes! Congrats on being a part of the team!! !